Dominic Sims, CBO, is the Chief Executive Officer of the International Code Council. He was appointed to the position in 2012. As CEO, Sims is responsible for the overall activities and financial performance of the association, including its six subsidiaries. The Code Council is a member-focused association dedicated to developing model codes and standards used in the design, build and compliance process to construct safe, affordable and resilient buildings. Every state in the U.S. and many global markets adopt the International Codes. During his 15-year tenure, Sims has also served the Code Council as Chief Operating Officer and Senior Vice President. He has served on and/or chaired numerous national Committees and Task Forces across a span of topics, including code development, government affairs and resiliency. 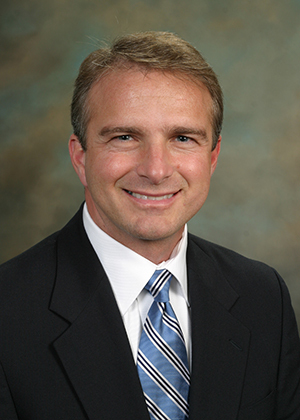 Prior to his work with the Code Council, Sims served as the CEO of the Southern Building Code Congress International (SBCCI) and guided its consolidation between regional code organizations that formed the Code Council in 2003. Sims has served on the boards of SBCCI, the Federal Alliance for Safe Homes (FLASH) and several other professional associations. Before joining SBCCI, he was Executive Director of the Palm Beach County, Florida Planning, Zoning and Building Department, where he had responsibility for comprehensive development, construction, and licensing and compliance activities for a high-growth region in the United States. Having worked in the building safety field since 1983, Sims has held numerous positions, both elected and appointed at the federal, state and local levels including the White House Panel on Seismic Safety, The Society for Standards Professionals (SES) Standards Committee and American National Standards Institute (ANSI) National Policy Committee. His experience includes service as a Councilman/Vice Mayor for the town of Jupiter, Florida and Vice Chairman of the Governor’s Building Code Study Commission –which helped form his views on the importance of being active in public policy discussions concerning building safety. Sims earned a B.A. in Organizational Management and Business from Palm Beach Atlantic University. He resides in Pelham, Alabama. To read more ICC executive bios, click here.